ir was amazing an d exceeded all of our expectations. 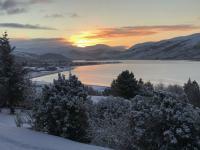 amazing viess with sunset nearby, walk on the beach to ullapool and back. most comfy bedding we've had on our whole trip. We would like to thank you for taking the time to leave us such a positive review;it was a pleasure to meet you and we hope to see you again in the future for a longer stay.Many thanks again from all of us here at Ardvreck House. Visited during Easter 2019.Booked directly (a lot better value), the whole process was very easy and efficient.Rooms were very tidy, breakfast brilliant, location just breath taking. Would most defiantly stay again . Thank you to the whole team at Advreck House for making us so welcome. We would like to thank you for taking the time to leave us such a positive review;it was an absolute pleasure to meet you both and we do hope to see you again in the future.Many thanks again from all of us here at Ardvreck House. Outstanding people, property, views, food. We would like to thank you for taking the time to leave us such a positive review;it was a pleasure to meet you and we very much look forward to welcoming you back to Ardvreck House in the future.All the very best and many thanks again, from all of us here at Ardvreck House. We had a warm welcome at Ardvreck House which is clean and comfortable throughout the property.The views from the lounge / dining room are stunning they have provided binoculars which is a really nice touch and have a selection of interesting information on the immediate area and of the local restaurants.The hosts were attentive and interested in our plans and served a superb freshly cooked breakfast. We would thoroughly recommend. We would like to thank you for taking the time to leave us such a positive review;we are so pleased to see that you thoroughly enjoyed your stay with us and we do hope to see you again in the future.Many thanks again from all of us here at Ardvreck House. Very clean with the most amazing view and a tasty breakfast. We would like to thank you for taking the time to leave us a review;we are so pleased to hear that you enjoyed your stay and do hope to see you again in the future.Many thanks again from all of us here at Ardvreck House. We loved staying at this beautiful house in its fantastic setting. It is set at a good point for travelling further north and seeing beautiful Assynt. Our hosts were extremely welcoming and helpful, and the breakfast was great. We also liked the paintings of Scottish scenery that were on display. We would like to thank you for taking the time to leave us such a positive review;we are so pleased to hear that you enjoyed your stay with us.It was a pleasure to meet you and we do hope to welcome you back again in the future.Many thanks again from all of us here at Ardvreck House. We would like to thank you for taking the time to leave us such a positive review - we are very pleased to hear that you enjoyed your stay and do hope to see you again in the future.Many thanks again from all of us here at Ardvreck House. We would like to thank you for taking the time to leave us such a positive review. We are really pleased to read that you enjoyed your stay with us once again and we look forward to welcoming you back in the future. Many thanks again from all of us here at Ardvreck House. Everything was perfect!Comfortable rooms, great views, a wonderful breakfast!One of the best B &Bs in which we have ever stayed!! We would like to thank you for taking the time to leave us such a positive review. We are really pleased to read that you enjoyed your stay and we do hope to see you again in the future. Many thanks again from all of us here at Ardvreck House. During my stay I have experienced sunshine, storm, rain, but above all hospitality. Comfortable en-suite room. Stunning nature. That's why I decided to stay an extra night to go fell walking. I was in Ullapool for the guitar festival. Staying in Ardvreck House enabled me to relax and enjoy a few moments to unwind amidst all the beautiful guitars. We would like to thank you for taking the time to leave us such a positive review;it was a pleasure to have you stay here with us and we do hope to see you again in the future. Many thanks again from all of us here at Ardvreck House. 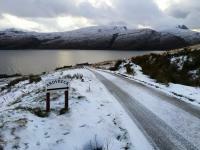 We stayed for just one night at Ardvreck House in October. We couldn't find a single available room in Ullapool so had to go a little out of town, but it was sure worth it! Very warm welcome, great room with a view and good breakfast. Next time straight to Ardvreck House! We would like to thank you for taking the time to leave us such a positive review;we are so pleased to read that you enjoyed your stay with us and we do hope to see you again in the future. Many thanks again from all of us here at Ardvreck House. We were very happy with our stay here.The view was amazing, rooms were comfortable and staff were very helpful.Breakfast was very good and consisted of many varied choices.Great location. We would like to thank you for taking the time to leave us such a positive review - we are really pleased to read that you enjoyed your stay here with us and we do hope to see you again in the future. Many thanks again from all of us here at Ardvreck House. We would like to thank you for taking the time to leave us a review;we hope to see you again in the future. What a lovely cosy little gem of a place.Extremely friendly hosts ( they really were that little boy t extra)Wonderful eye popping views of Loch Broom and surrounding mountainsSuper comfortable bed and delicious breakfastSmashing lounge area, to relax or play a board game! We would like to thank you for taking the time to leave us such a positive review;we are so pleased to hear that you enjoyed your stay here with us and we do hope to see you again in the future. Many thanks again from all of us here at Ardvreck House. We received a warm welcome on arrival and had a pleasant stay. Everything we needed was to hand and Neil was extremely helpful. Breakfast was superb just what you need to start the day. We would like to thank you for taking the time to leave us such a positive review;we are pleased to hear that you enjoyed your stay with us and do hope to see you again in the future. Many thanks again from all of us here at Ardvreck House. Good location, confortable B&B, with nice breakfast and beautifull view. B&B bien situé, avec une très belle vue sur le Loch Broome et à proximité de la charmante ville d'Ullapool. Excellent service de petit déjeuner. We would like to thank you for taking the time to leave us such a positive review;we do hope to see you again in the future. Many thanks again from all of us here at Ardvreck House. Most enjoyable stay, everything right. Lovely location, great having breakfast looking out to Loch Broom. We would like to thank you for taking the time to leave us a review;we are really pleased to hear that you enjoyed your stay with us and hope to see you again in the future. Many thanks again from all of us here at Ardvreck House. We would like to thank you for taking the time to leave us such a positive review and we very much hope to see you again soon. Many thanks again from all of us here at Ardvreck House. 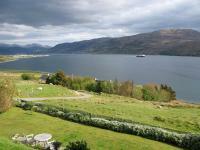 Perfect hospitality, nice clean rooms, a diningroom with a breathtaking view onto the sea and ullapool. We would like to thank you for taking the time to leave us such a positive review;it was an absolute pleasure to have you stay here with us at Ardvreck House and we do hope to see you again in the future. Many thanks again from all of us here at Ardvreck House. Simply STUNNING;both Ardvreck House, and more importantly the supreme hospitality provided by Lisa, Gary and Aidan.See you soon, and enjoy your own holiday(s)!! We stayed for one night only at Ardvreck House at the end of our tour of the west coast of Scotland. It was not enough. The welcome was warm, the room comfortable and the view simply stunning. We were able to enjoy our tasty breakfast whilst gazing down on the loch. Wholeheartedly recommended. You won't be sorry and we will be back for a longer stay maybe even next year. We would like to thank you for taking the time to leave us such a positive review, we are so pleased to hear that you had a thoroughly enjoyable stay. It was a pleasure to welcome you to Ardvreck House and we hope that we can do so again for a longer stay in the future. Many thanks again from all of us here at Ardvreck House. Stunning location, cracking views. First rate welcome, comfy rooms, friendly helpful staff. Couldn't ask for anything more. We would like to thank you for taking the time to leave us such a positive review, we are so pleased to hear that you had a thoroughly enjoyable stay. It was a pleasure to welcome you to Ardvreck House and we hope that we can do so again in the future. Many thanks again from all of us here at Ardvreck House. Nice House with great View. More a hotel then a B&B. Very clean and everybody ist very friendly. Great for walking in the sourrounding. Near to Ullapool but very, very quiet. Bed's are a little bit small for taller people. We would like to thank you for taking the time to leave us a positive review, we hope that you enjoyed your holiday and do hope to welcome you to Ardvreck House again in the future. Many thanks again from all of us here at Ardvreck House. Great welcome, great Loch view (with dolphins! ), delicious breakfast and confortable rooms. To recommend!! We would like to thank you for taking the time to leave us a positive review and do hope to see you again in the future. Many thanks again from all of us here at Ardvreck House. We would like to thank you for taking the time to leave us such a positive comment;we are pleased to hear that you enjoyed your stay with us and hope that you will return in the future. Many thanks again from all of us here at Ardvreck House. Very comfortable accommodation and friendly service. We would like to thank you for taking the time to leave us a positive review;we are pleased to hear that you enjoyed your stay with us and hope that you will return in the future. Many thanks again from all of us here at Ardvreck House. We arrived 3 hours later than expected due to a fatal accident. Our hosts were more than welcoming. Situated high on the side of Loch Broom the view was fantastic as was the cooked breakfast. Our room was very well appointed and spotlessly clean. We would like to thank you for taking the time to leave us such a positive review;it was a pleasure to meet you and we do hope that you will visit us again in the future. Many thanks again from all of us here at Ardvreck House. I had booked this place not knowing particularly what to expect, but I think it was possibly the best B&B I've ever stayed in - lovely panoramic views of loch and mountains from the lounge, a modern well-furnished room, and good service as well as of course a great breakfast. We would like to thank you for your kind review and are very pleased to hear that you enjoyed your stay - we hope to see you again in the future. Many thanks from all of us here at Ardvreck House. Thank you for taking the time to leave a review;we are very pleased to hear that you enjoyed your stay and do hope to see you again in the future. Many thanks again from all of us here at Ardvreck House. Thank you for the nice stay in Ardvreck House. We liked the house, the perfect view from our room and the hospitality of the staff. Breakfast was great and from very good quality. We hope, we can come another time. Thank you for taking the time to leave us such a positive review. We are always thrilled to hear that our guests have enjoyed their stay with us. We hope to see you again in the future. Many thanks from all of us here at Ardvreck House. All was perfect :so nice check-in, so lovely and comfortable bedroom, so delicious brekfast ! So very nice owners and wonderful landscapes in this area. Thank you for your very kind review;we are so pleased to hear that your stay with us here at Ardvreck was comfortable and enjoyable. We hope to see you again in the future. Many thanks from all of us here at Ardvreck House. We were very pleased to stay at your house. Everything was fine. The house had been recently very nice refurbished. The breakfast was very good and the staff very friendly. the view from the house is fantastic. Thank you very much for your review, we are really pleased that you enjoyed your stay with us - it was an absolute pleasure to have you here and we hope to see you again in the future. Many thanks from all of us here at Ardvreck House. Ardvreck House can be among the finest homes "away from home. "Wonderful food, warm hospitality, and wandering ewes and lambs in an idyllic setting all join together to create this awesome Scottish Northwest Highland experience.There are few places on earth like this anymore.For all who seek the best destination with the finest hosts,you will find it here! Thank you very much for your kind words, we are really pleased to hear that you enjoyed your stay with us. It was a pleasure to meet you and we very much hope to see you again in the future. Many thanks from all of us here at Ardvreck House. This is an amazing place to stay.The rooms, the scenery, and the breakfast (including the rainbow) were the perfect.Thanks for a wonderful stay. We would like to thank you for your very kind review - we are so pleased to hear that you enjoyed your stay and hope to see you again in the future. Many thanks from all of us here at Ardvreck House.